Vases-All our vases are available in three sizes. The great thing about handmade is that each one is unique and may differ slightly in color and shape. Note - Color on object might be slightly different then the object in person due to calibration of your monitor and light/color settings. ﻿When ordering the set of 3 please specify color in the area indicated or on PayPal's site where you can add special instructions to the seller﻿. Please allow 2-8 weeks (it all depends on if we have the vase ready to be glazed). 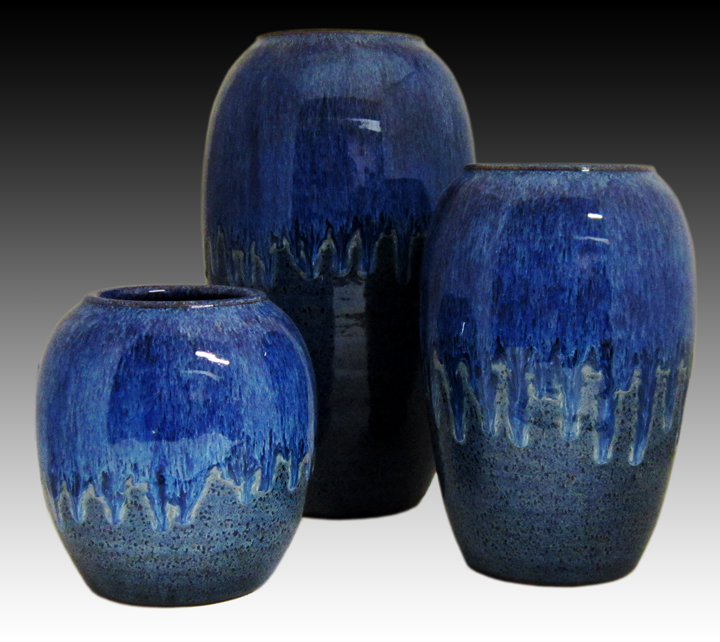 Set of 3 Vases in small, medium and large. $120.00 Please indicate color in text block to right (see below for color options) and if you want different colors in the set, then indicate on PayPal's special instructions area when paying.